Description: The cold ring of laughter precedes you as you march onward, cutting down every monster in your path. 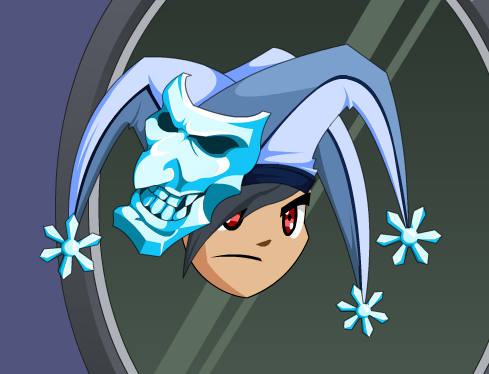 Force your enemies to stare into the face in insanity and freeze in their tracks. The joke's on them. Note: Also see Doom Iced Foule-Bordeau. Thanks to Kakoto and Tendou no Mazo.